what is giving your life meaning now? gosh, you’re going thru a lot, what coping strategies do you have? do you ever consider a good metaphor for what you are going thru? Okay, I don’t really ever wonder that last one about patients. 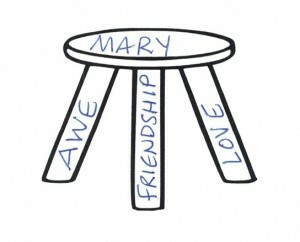 But for myself…I’ve been wondering what my three-legged stool is for surviving this summer. 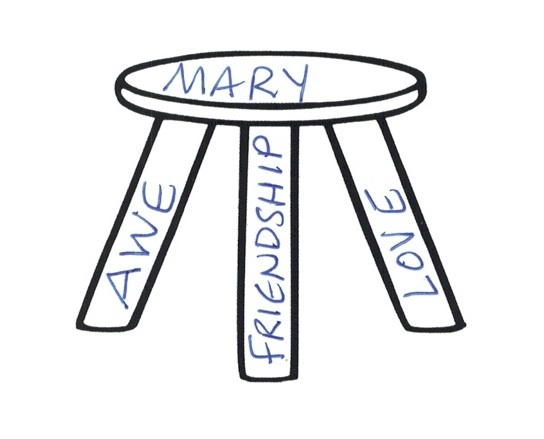 You know, the three-legged (because that is how many it takes to hold something up) stool used to talk about investing, leadership, or even Anglican theology? A timeless metaphor. What are the three essential things keeping Mary from falling over? This entry was posted in CPE, Humor, Metaphor, snark and tagged metaphor, snark by Mary Keenan. Bookmark the permalink.